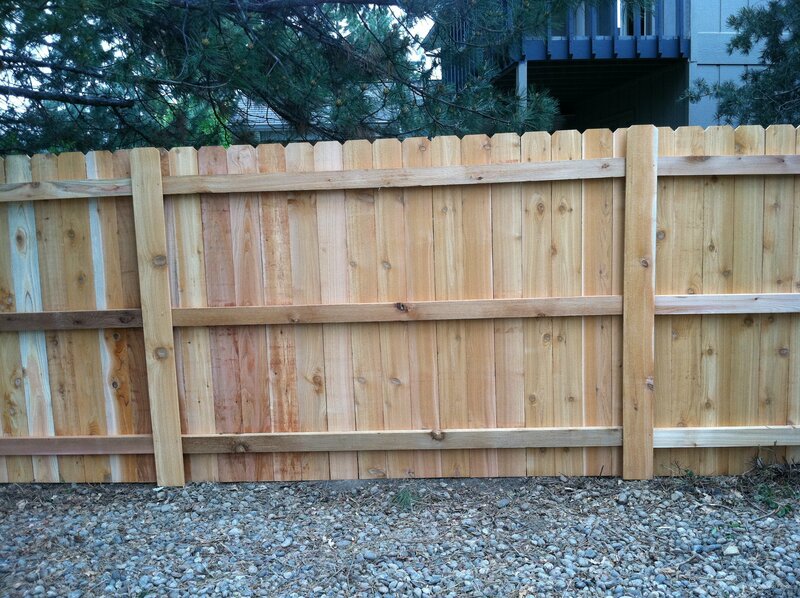 Harrison Fence uses top grade western red cedar as the lumber of choice for wood fences. Cedar is one of the most naturally rot-resistant woods and will last for many years. 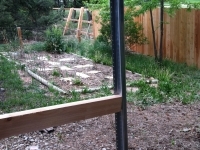 Posts are set 24 inches deep in concrete with horizontal 2”x4” rails face-nailed to the posts. 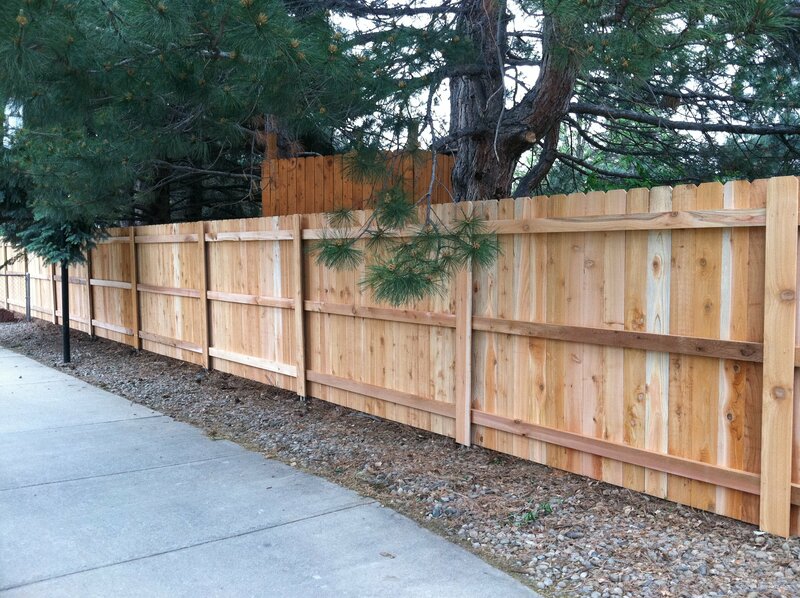 Harrison Fence uses ring-shank galvanized nails which perform like screws and resist rust. Other wood options are available upon request. Please see our Decorative Wood Fences page for more variations on the wood privacy fence. 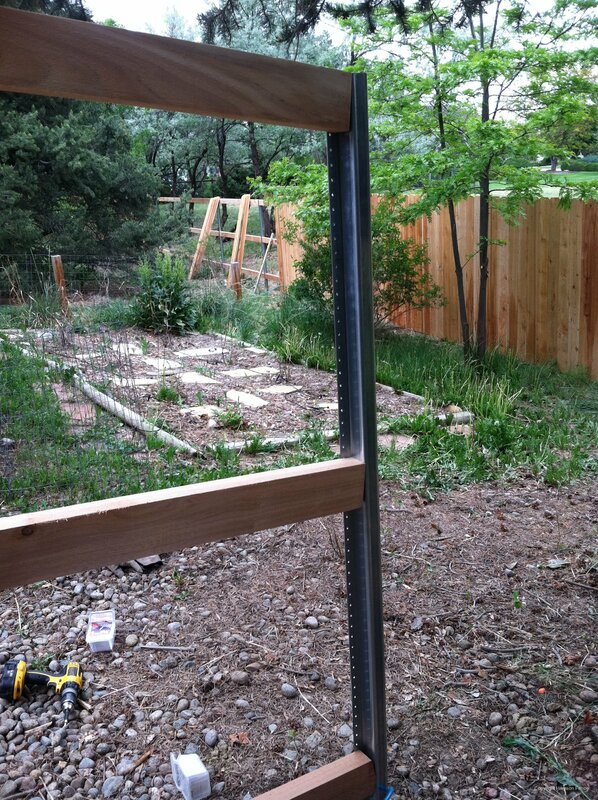 Framing-view of the steel posts with cedar rails installed. Rails screwed to posts in pre-drilled flange holes. 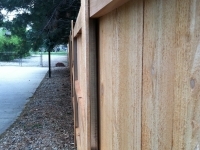 Pickets are used to cover the posts on the back-side to hide the look of the metal. 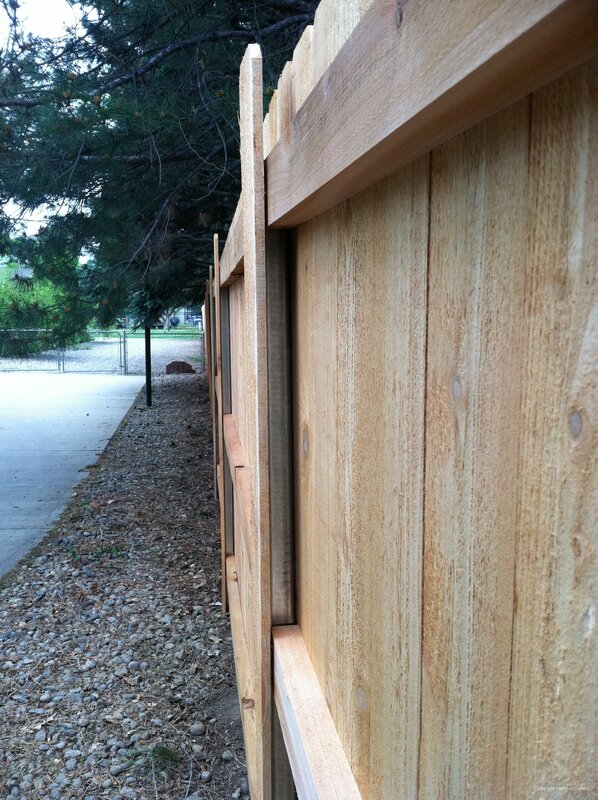 This is a side-view of the covered posts. Picket-view of the steel posts with pickets secured to rails. 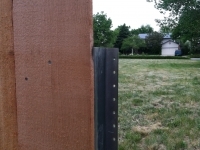 Rails screwed to posts in pre-drilled flange holes. 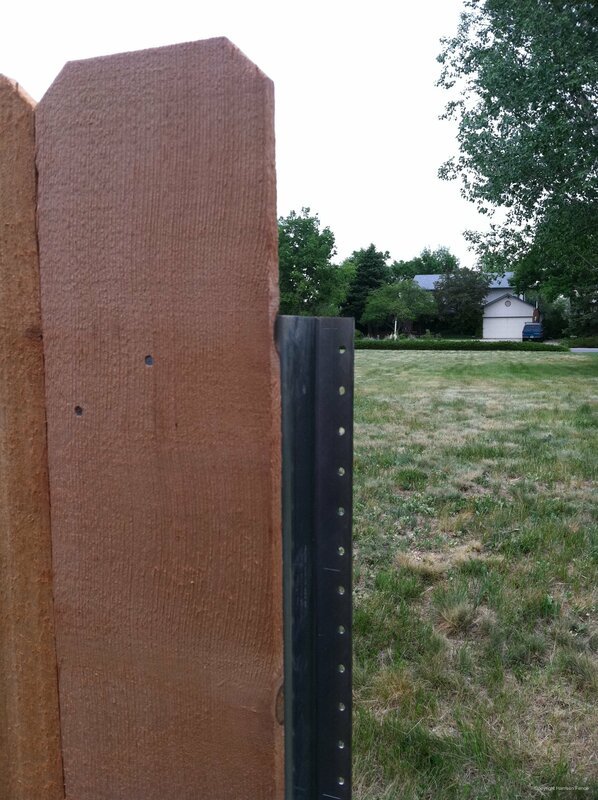 Pickets are used to cover the posts on the back-side to hide the look of the metal. 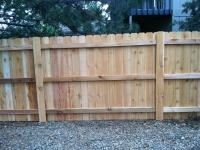 This is a view of the back side of the completed fence.